In 1869 Dmitri Mendeleev developed his system of the elements to solve a pedagogical problem. Melinda Baldwin is a historian of science and a senior editor at Physics Today, the flagship monthly magazine of the American Institute of Physics. This article first appeared in Physics Today. The version of Mendeleev’s periodic table published in his textbook Principles of Chemistry. Book held at the Niels Bohr Library and Archives, Wenner Collection. The periodic table was the creation of Russian chemist Dmitri Mendeleev, then a professor at St Petersburg University. In October 1867 Mendeleev began teaching the university’s large general chemistry lecture course. He quickly found himself in need of a textbook. As historian of science Michael Gordin writes in A Well-Ordered Thing: Dmitrii Mendeleev and the Shadow of the Periodic Table (see the review in Physics Today, June 2005, page 60), most Russian-language chemistry textbooks were translations of western European ones. 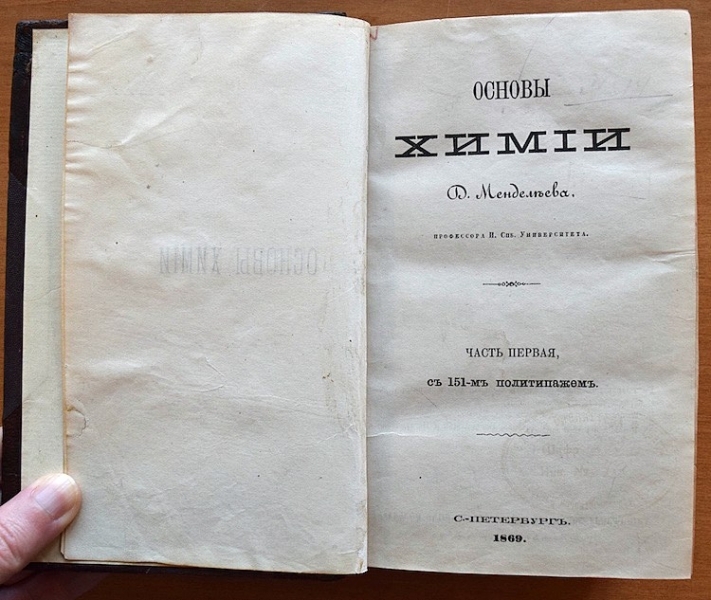 However, chemistry was a rapidly advancing field in the 1860s, and by the time a book could be translated from German to Russian, its science was already out of date. 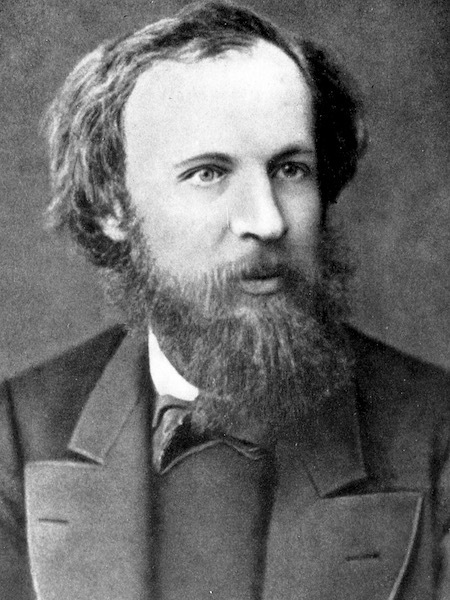 Mendeleev decided to solve the problem by writing his own Russian-language textbook. He signed a contract promising his publishers two volumes by 1869. The first volume of Mendeleev’s Principles of Chemistry was submitted right on schedule in late 1868. But as he sat down in January 1869 to write volume 2, Mendeleev realized he had a problem. Of the 63 known chemical elements, only 8—carbon, hydrogen, oxygen, nitrogen, chlorine, fluorine, bromine, and iodine—had been covered in volume 1. How would he discuss the chemical properties of the other 55 elements in the remaining volume? 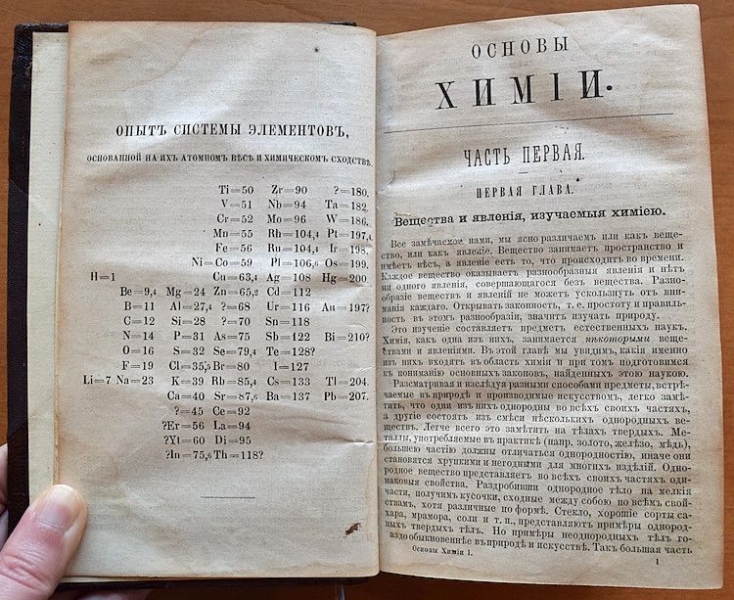 The title page of Mendeleev’s Principles of Chemistry. Book held in the Niels Bohr Library and Archives, Wenner Collection. His solution, Gordin writes, was the periodic system of the elements. Mendeleev knew that certain subsets of elements, including the alkali metals and the halogens, shared similar properties, including the ratios in which they formed compounds with oxygen. He began organizing the known elements according to their atomic weights and chemical properties. Chemists had recently standardized a previously chaotic system of atomic weights by defining the atomic weight of an element according to Avogadro’s law, which states that equal volumes of gases at equal temperature and pressure contain equal numbers of molecules. The atomic weight of hydrogen was set at 1, and all other atomic weights were calculated by the ratio of the element’s mass to hydrogen’s. The eventual result was a six-column table that listed the elements in order of increasing atomic weight. Mendeleev arranged it so that elements with similar chemical properties appeared in the same row (as opposed to the modern periodic table, in which groups of elements are in the same column). Because at that time there were no known elements with atomic weights 45, 68, 70, and 180, Mendeleev inserted question marks in their place. At first Mendeleev did not think of those placeholders as explicit predictions of unknown elements; they were simply a way to make his teaching tool functional. But the more he thought about the implications of his table, the more he became convinced that he had discovered a natural law that predicted an element’s chemical properties based on atomic weight—and that the discovery of those unknown elements would vindicate the importance of his system. Later iterations of the table dropped the predicted element at atomic weight 180, leaving three missing elements. Mendeleev called them eka-boron (atomic weight 44), eka-aluminum (68), and eka-silicon (72), naming them after elements with which he thought they would share chemical properties. The first vindication of Mendeleev’s system came in 1875, when Paul-Émile Lecoq de Boisbaudran discovered gallium—a new element, with an atomic weight of 69.7, that formed oxides in the same ratio as aluminum. The discoveries of scandium (atomic weight 44.96) in 1879 and germanium (atomic weight 72.63) in 1886 further confirmed the power and insight of Mendeleev’s table.